Below you can view all the homes for sale in the Colony Woods subdivision located in Chapel Hill North Carolina. 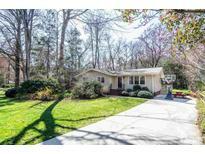 Listings in Colony Woods are updated daily from data we receive from the Raleigh multiple listing service. To learn more about any of these homes or to receive custom notifications when a new property is listed for sale in Colony Woods, give us a call at 919-759-5770. Showings begin 4/13/19 after 10:00 am. MLS#2241506. 2754. New paint throughout, upgraded decks, multi-zone HVAC with thermostats in each room, spray foam insulation, East Chapel Hill High school district, low maintenance (no yard to mow). MLS#2246171. 81. 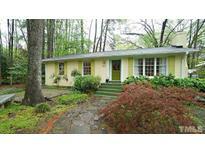 Completely renovated basement has a large bedroom, full bath, sitting area, den w/ fireplace and 2nd kitchen. CH/Carrboro Schools. 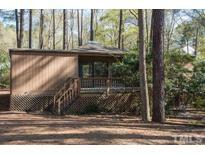 MLS#2244239. 29. Community swim club available. Picture perfect! MLS#2243059. 45. 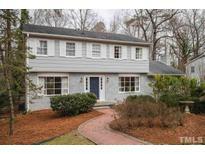 Updated w/ love & care, great location & in CHCCS! MLS#2243267. 62. Oversized brick patio. Fantastic, fenced backyard! MLS#2243065. 649. A must-see in highly desired location. MLS#2242341. 683.